Blu-ray Ripper is an all-inclusive tool for handling both Blu-ray and DVD discs. This Blu-ray Ripper could help you rip Blu-ray and DVD movies to various video files. It can convert Blu-ray to different HD and common video formats like M2TS, MP4, WMV, FLV, MPEG, MKV, RMVB, etc. and for transferring Blu-ray and DVD for playback on media players and mobile devices like iPhone, iPod, iPad, Apple TV, Zune, Xbox360, BlackBerry, Android phones, etc. Blu ray Ripper for Mac is a useful Blu ray Ripper software for Mac fans. It is designed for users to rip Blu ray to HD and SD video formats. It also allows you to extract audio files from Blu ray disc. 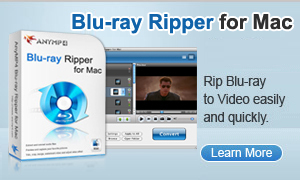 With this powerful Mac Blu ray Ripper, you can rip Blu ray Disc, Blu ray Folder with fast speed and best quality. In additional, you can using this Mac Blu ray ripping software to edit the video effect: set the video size, set the play region, add watermark, and make preference, etc. Copyright© 2014 Best Blu-Ray Ripper. All rights reserved.